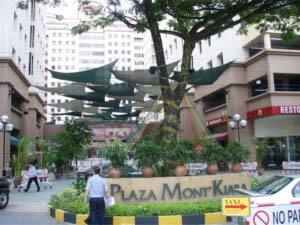 Plaza Mont Kiara is the pioneer commercial and retail development within the Mont Kiara area. Completed in 2000, it is currently occupied by many businesses and services within the premises include bank branches, post office, clinics, dentist, ATM machines, launderette, money changer and convenience stores, amongst others. The retail space at Plaza Mont Kiara is a hub of activity with various F&B outlets, from fast food to bistros, while the fountain courtyard plays host to various events throughout the year. With its vibrant community and the strategic location of Plaza Mont Kiara, the retail activity at Plaza Mont Kiara is still viewed as the centre of activity for the Mont Kiara enclave. The office lift lobbies have recently been refurbished to reflect a more modern style and turnstiles have been added for enhanced security. Concurrently, the restrooms have also been refurbished.